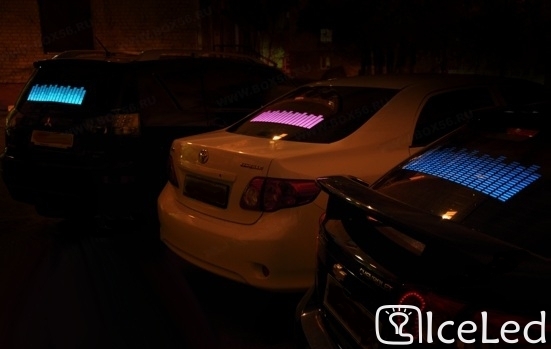 Equalizer car stickers - Party 42 x11 cm which react to the music beats. It makes your car fashionable and amazing. Check the LED decals. 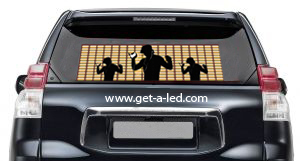 Light up EL Car Decals, Light up flashing stickers, Electronic Decal sound motion dark activated decal. 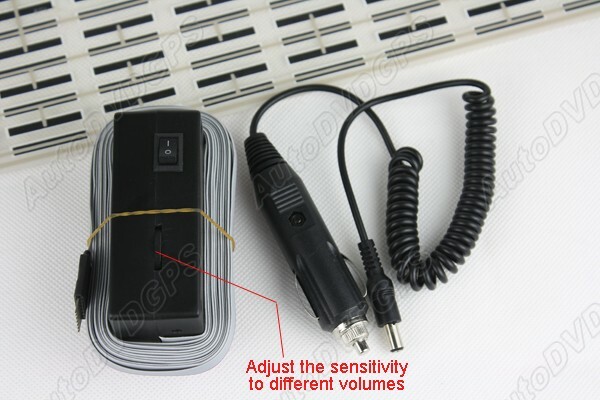 Place it anywhere you want in your back window of the car. 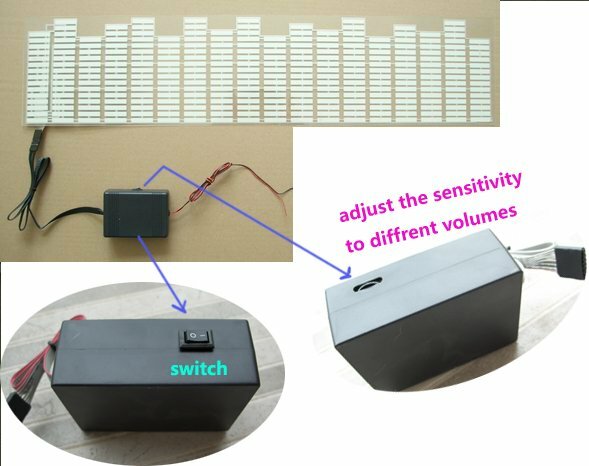 Sound activated function: EL Panel can light according to sound or music. Product can continuously work for more than 4000 hours. Sheet thickness is only 0.35mm, it is very space saving. Low power consumption: only 1mW per square centimeters.